Thingiverse Facelift: Responsive Layout for Tablet & Mobile, User Profiles Redesign, Filtering, New Homepage #3DThursday #3DPrinting « Adafruit Industries – Makers, hackers, artists, designers and engineers! Thingiverse gets a facelift today, with new responsive layout for tablet & mobile, user profile redesign, parts filtering, new homepage, and more. We are incredibly excited to launch a redesign of thingiverse.com today. Our Design and Development teams have been cranking away to improve your Thingiverse user experience. We concentrated on the core pages of the platform in this release, and there is much more to come over the next few months. Among the many improvements, you’ll see that the whole site is now responsive. Using your computer, tablet, or phone, easily view the new homepage and quickly like or collect items on the explore page. We’re also curating collections to surface cool things you may have missed. View the new, responsive grid layout with your computer, tablet, or mobile device. “Like,” “Collect,” and “Comment” easily within the grid format. 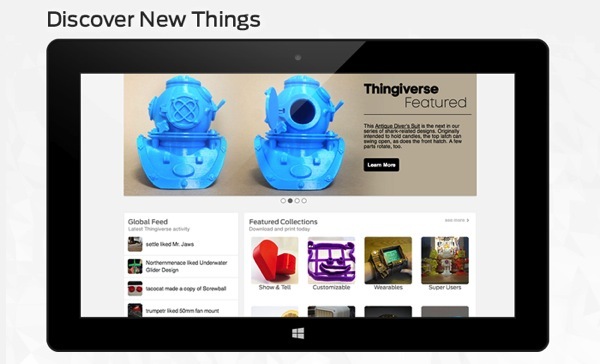 Discover the best of Thingiverse on the redesigned Homepage. 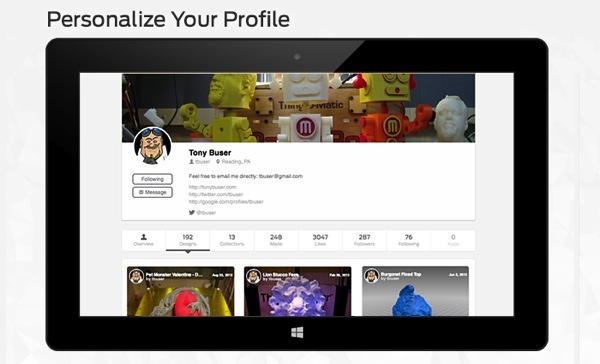 Personalize your user profile with a cover image. Search for things and users, then sort by newest, relevant, and most makes. Filter your Dashboard to see exactly what you want.